This is my Diaper Cover Collection. All Applecheeks. 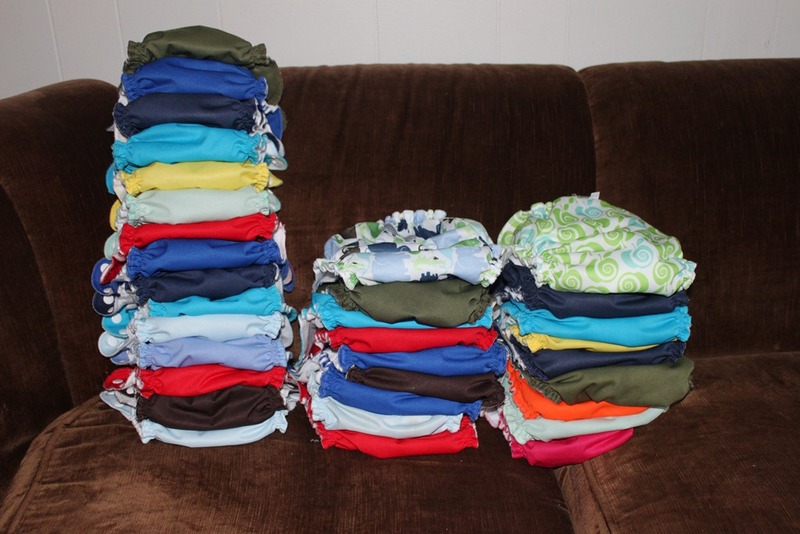 I have 15 Size 1 Diapers and 20 Size 2 (I will add more size 1’s to my collection whenever we have another baby). There are 2 covers not in the picture (Storm – which is on her bum, and another one that is dirty). The size two (the two shorter piles) look less “fluffy” because most of them are wet because I just washed them.